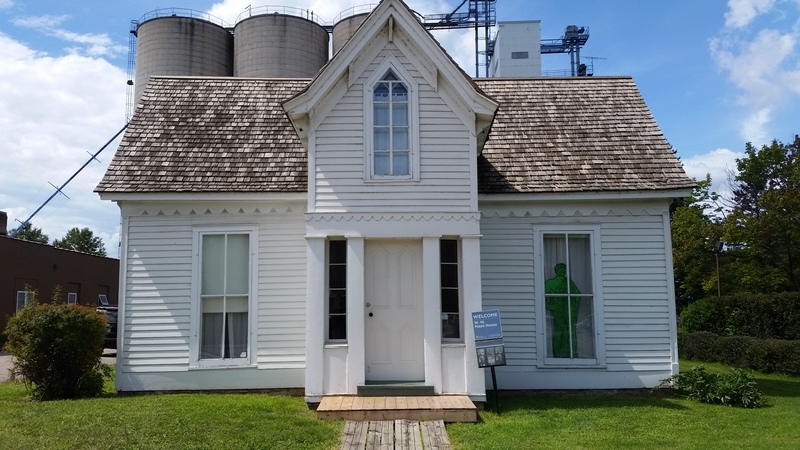 Located in the small town of Le Sueur, Minnesota is a very small house that drivers could easily travel by without knowing it’s historical significance. 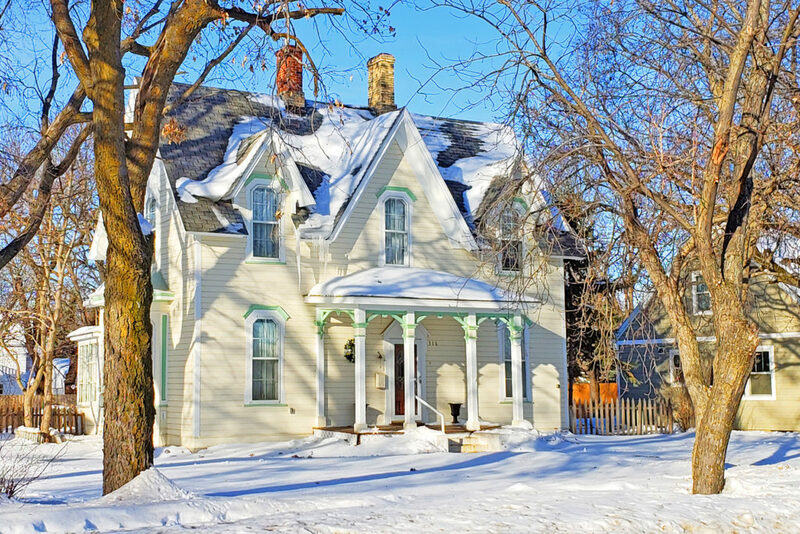 Listed on the National Registry of Historic Places, as well as a Minnesota historical site, this Gothic style home was hand-built in 1859 by Dr. William Worrell Mayo. Dr. Mayo arrived in the United States in 1845 from England, settling in New York where he worked as a pharmacist. He then moved to Layfayette, Indiana where he earned his medical degree in 1850 from the Indiana Medical College. (He earned a second medical degree in 1854 from the University of Missouri.) After living in Indiana for a time, he found his way to Minnesota after being plagued by malaria outbreaks. He eventually settled in Le Sueur after serving as the first county commissioner of St. Louis County. Having built the home himself, he lived here with his family, setting up his first medical practice in a room upstairs. It was in 1864 that he moved his family to the town of Rochester, Minnesota where he served as the examining surgeon for the Minnesota Civil War draft board. It was with his two sons, William and Charles, that St. Mary’s hospital was created, known today as the Mayo Clinic. 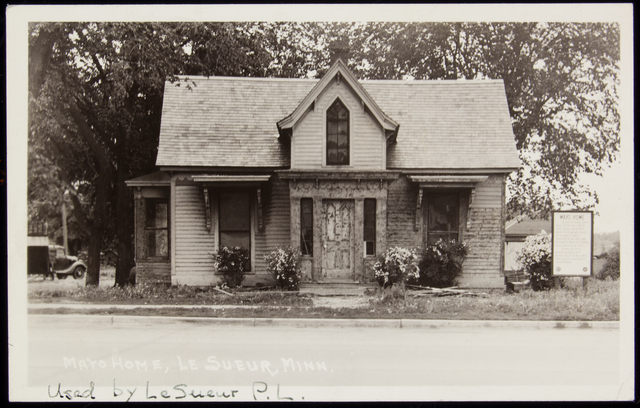 As for the small little house in Le Sueur, it wasn’t finished housing future nationally known individuals. 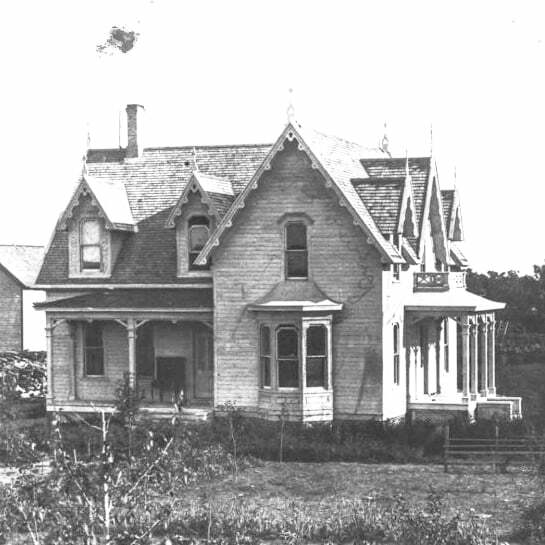 Carson Cosgrove and his family moved into the home in 1874, with three generations living there through the 1920s. In 1903, Cosgrove conducted the organizational meeting for the Minnesota Valley Canning Company, later serving as the head of the company. We know this company today as the Green Giant Company. 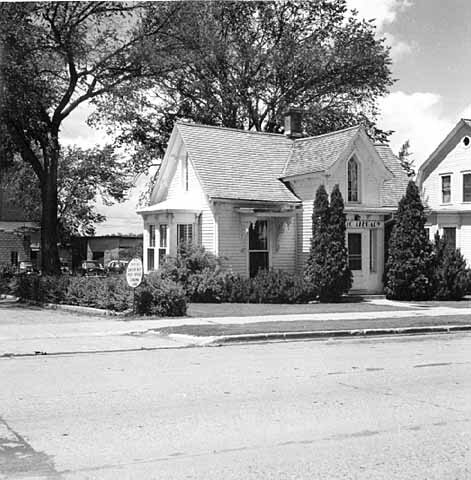 From this angle you can see the unique Gothic window awnings with large decorative brackets, circa 1957. Fun Fact: The door to his home office is five feet seven inches in height – forcing his taller patients to stoop, but just what the doctor needed for his own five-foot-four-inch frame. If you would like to learn more about the history of the Mayo family, please visit the Mayo Clinic History and Heritage site. 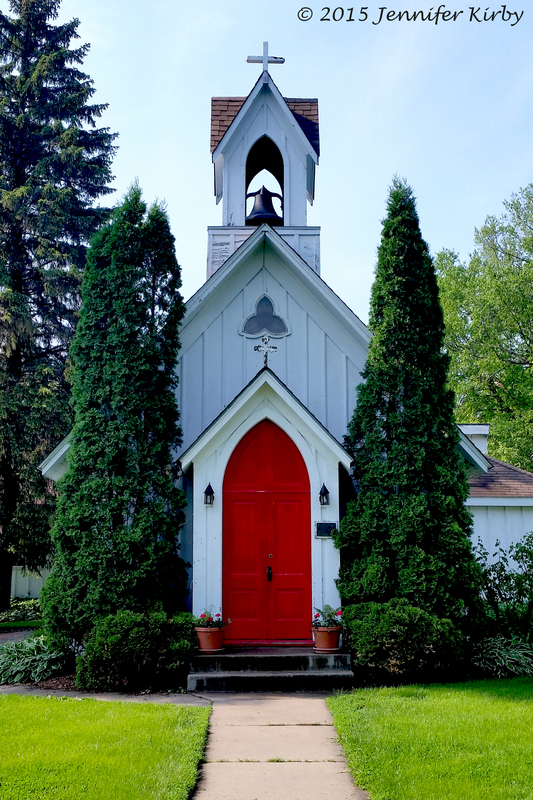 There is nothing more lovely than a cute little church in a small town, especially one with red doors. 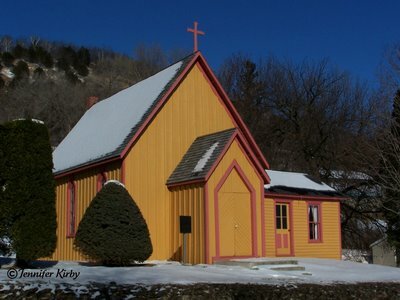 Built in 1872, this church’s building style was suggested to the congregation by Bishop Henry Benjamin Whipple, and constructed according to plans found in Richard Upjohn’s 1852 book titled Upjohn’s Rural Architecture. 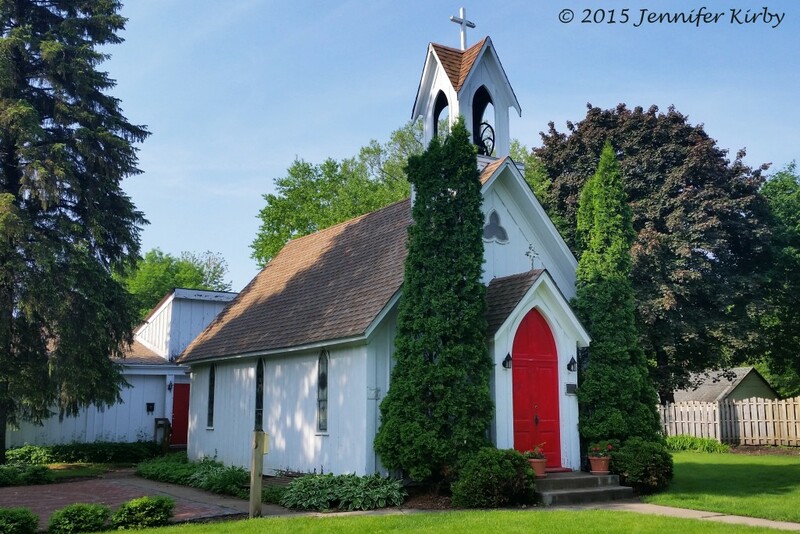 The episcopal parish had been formed only the year before, and owing to the rural location and small congregation, the building was designed as a smaller version of the All Saints Church in Northfield, Minnesota, that was constructed six years prior by Bishop Whipple. The exterior is a simple version of the Gothic Revival style, also know as Carpenter Gothic, and clad in board and batten vertical siding. The small detail of trefoil window on the front, as well as the small belfry, (not to mention the bright red doors), really make this church stand out. Three Gothic style stained-glass lancet windows line each side of the church, two of them being original to 1872 . 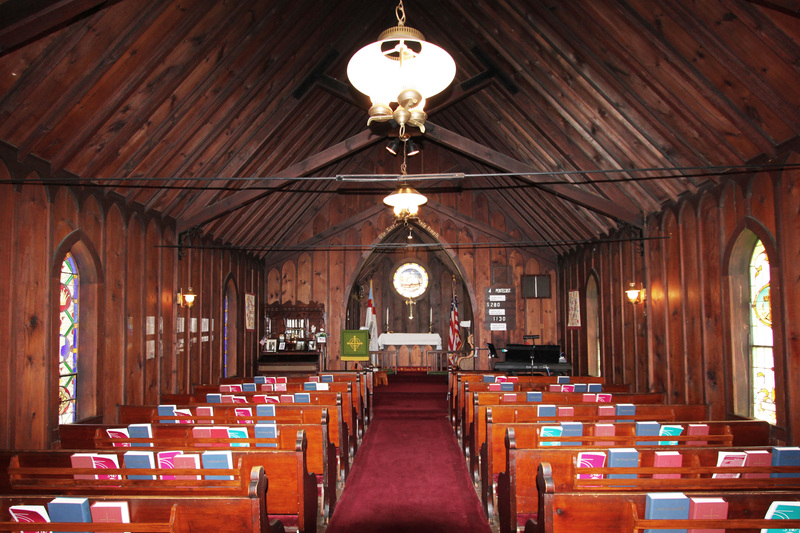 The inside is much like it was 143 years ago, with its scissor-beam rafter construction and beautiful wood walls. The pews are original, also designed according to Upjohn’s book with small trefoil details at the end of each pew. The sanctuary was originally heated by a small iron stove, and illuminated by kerosene oil wall lamps. When I toured the church, my guide informed me that the bell, the first ever in Farmington, was made in the same foundry as the Liberty Bell. Beginning in the mid-1920s and lasting into the 1930s, church attendance began to decline, partly due to the closing of the railroad yards and families moving away. Episcopal services were eventually haulted, but the church building was still maintained by some of the original families. It was also rented out by lutherans who later formed the Farmington Lutheran Church. Over time, different parts of the building have been restored, and additions were added in the 1970’s to accommodate the growing needs of the parish. 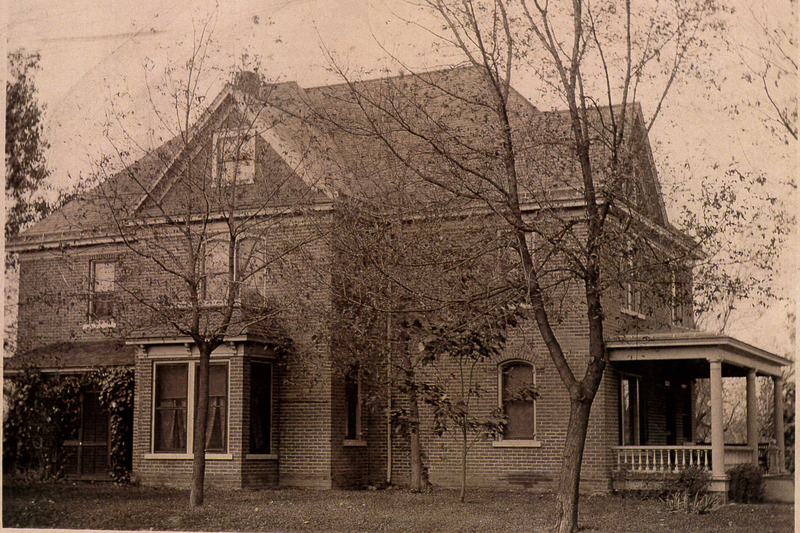 In 1979, the original building was added to the National Registry of Historic Places. Today, it is a shining beacon of preservation in the small town of Farmington, and an example that even the smallest buildings deserve to remain among us. Altar of Church of the Advent. Note the original kerosene oil lamp on the wall to the left of the altar. The original Gothic chancel window was replaced by this round stained glass window in 1916. It was given in memory of Dr. TenBroeck, who had died in 1913 after 51 years in the priesthood. Rafter detail with scissor-beam construction. 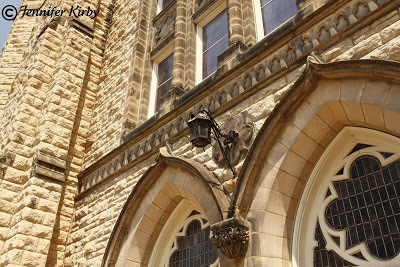 Many of the original kerosene oil lamp brackets are still attached to their original location. 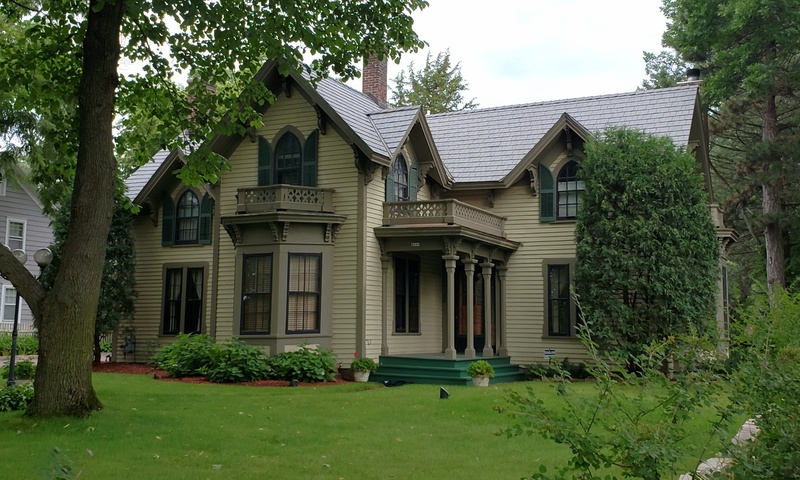 In 1887, Julius A. Coller built the first phase of this lovely home in a simple Victorian style influenced by Gothic Revival details in its steep gables, decorative trusses, and spindlework porch. 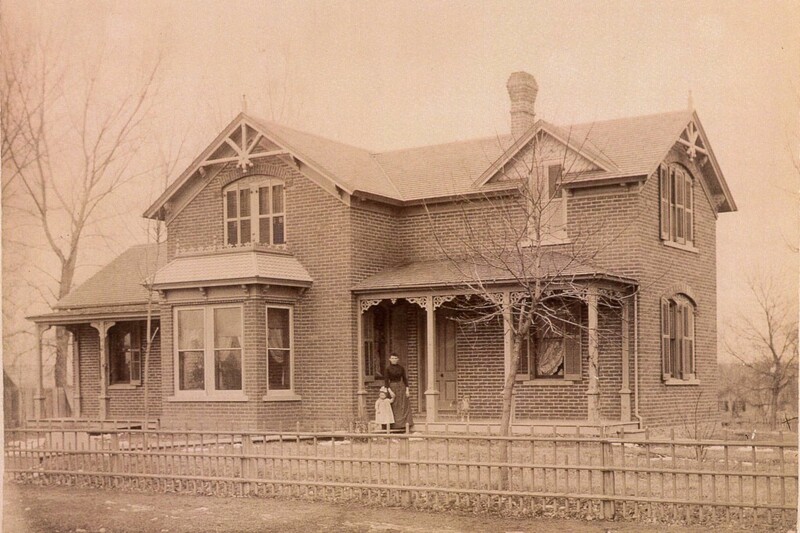 Around 1900, the roof was raised to add a third story, and the house took on its present appearance and floorplan. 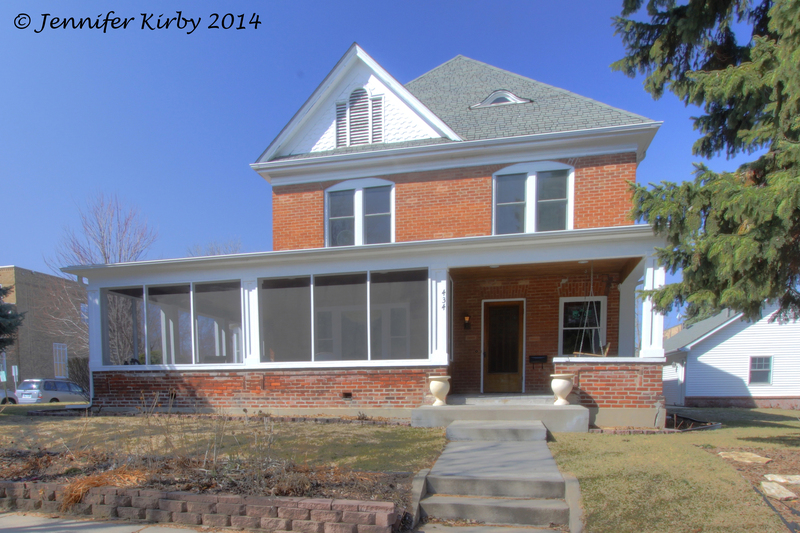 The wrap around porch was added in 1915. Amazingly the home remained in the Coller family until the current owners purchased it in 2000. Julius A. Coller was born in Shakopee in 1859, his father having settled in the area when Minnesota was still a territory and Shakopee nothing more than a frontier settlement. He worked in the local hardware store from 1877 to 1880 until he was elected City Clerk. A year later, while studying the law, he was elected to the county office of Clerk of the Court. 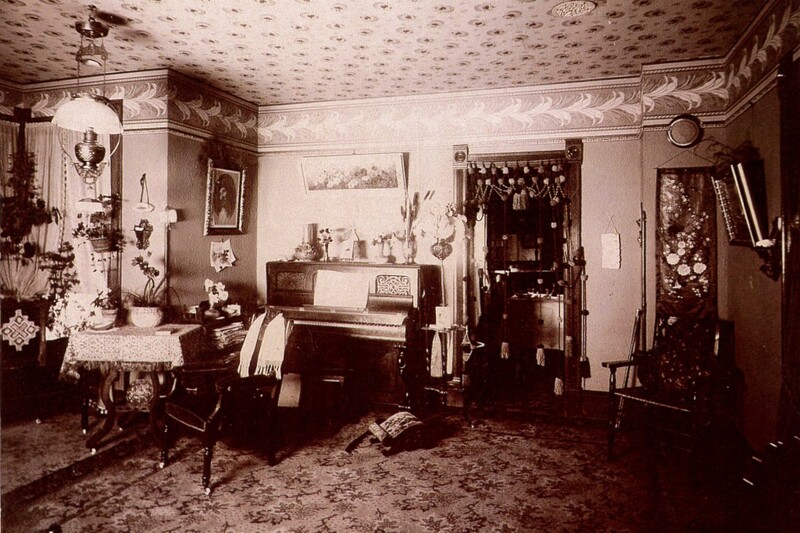 Having married Ida Adams in 1885, he quickly began a family, built his home, and became a lawyer in 1887. He was a prominent attorney in Shakopee and was elected State Senator in 1898, representing Scott and Carver Counties, a position he held for 16 years. The First Methodist Church of Red Wing was founded in 1853 and had a Greek Revival styled church constructed in 1858. One year later the church was damaged by a storm, and a new church was constructed on site in 1860. The Second Methodist Church of Red Wing survived until 1907 when it was destroyed by fire three days before Christmas. 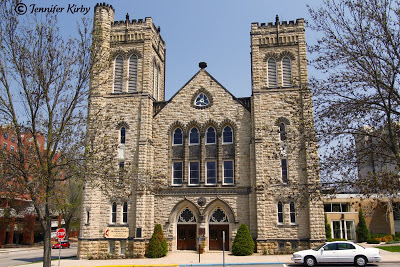 It took two years to construct the current structure (the Third Methodist Church now know as the First United Methodist Church) which was dedicated December 1909. During the 1909 dedication, a times capsule was created by the congregation and placed behind the corner stone cap. One hundred years later, in 2009, the capsule was opened to reveal newspaper clippings, a hymnal, and a bible (just to name a few). The church was rededicated and a new time capsule was created with items chosen by the current congregation. Learn more about the history of this church, including old photos of the First and Second Methodist buildings, and photos of the time capsule contents at the church website. The current church was built with local quarried stone and has some beautiful gothic features, as seen in the above photo. Lovers of historic homes can easily tell you which styles they like the best. Those with grand details and ornamentation usually make the top of the list. However there are those old homes that stand out every now and then, not because they fit into the high Victorian decoration, but because they are simple in design and sometimes just sit in the perfect location. 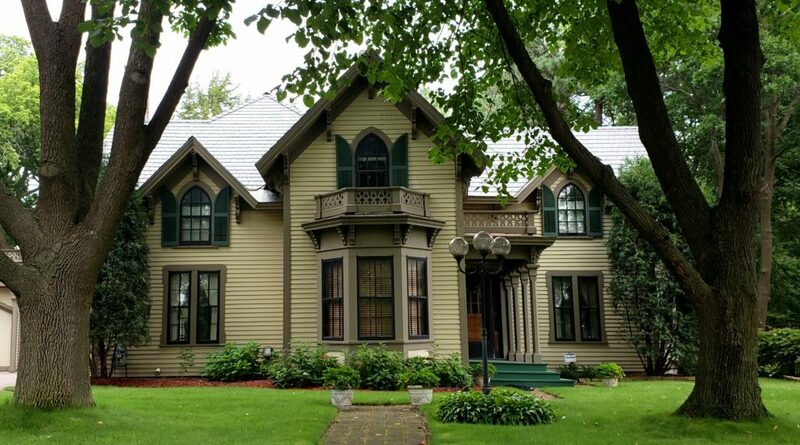 Take for instance this quaint Gothic Revival home that sits on the banks of the Mississippi River in Lansing, Iowa. I love this home. 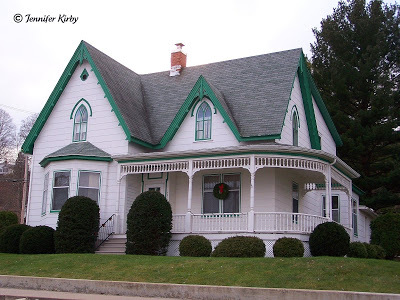 It is perfectly situated just a hundred yards or so from the river, and the white siding (not original) goes perfectly with the touch of green on the trim. I don’t know anything about this house, but you can tell it is loved and taken care of by the current owner. Who wouldn’t want to sit out on the wrap around porch every summer evening and watch the river traffic go by? Sometimes the simple homes are the most enjoyable. While driving through southeast Minnesota along the banks of the Minnesota, I came across the small town of Brownsville. On Main Street stands a simple Gothic style Episcopal church which was built in 1869 by Charles Brown, who founded the town in 1849. The Church was restored by the Houston County Historical Society in 1980. Though it is not currently in use, it is available by appointment and for weddings. Built in 1910 and designed by Edwin Hawley Hewitt, St. Mark’s has been in Minneapolis for quite a while, and is in fact celebrating its 150th birthday this year. The church has an amazing history. 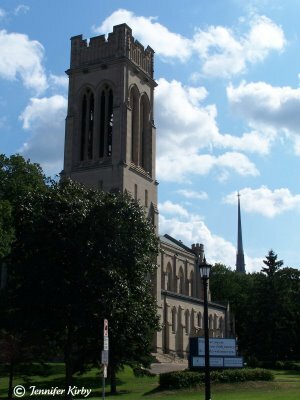 Originally the church was located in downtown Minneapolis, but commerce forced the church to move to a location where parishioners could more easily access the parish. 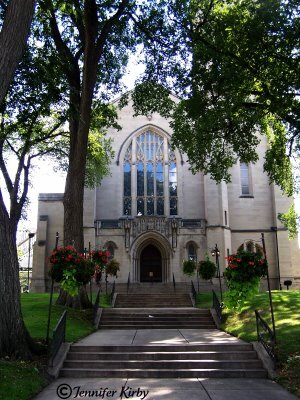 As luck would have it, the downtown land was worth a quarter of a million dollars, giving the church much needed money to relocate, and a generous parishioner sealed the deal when she offered part of her Loring Park estate for sale to the church. 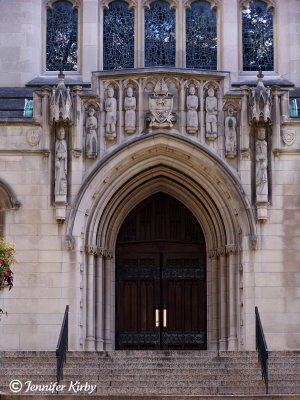 Designed in the Gothic style, even though it was decades past the actual Gothic period, the building is extremely large and imposing. Sitting on top of a hill, the church overlooks Loring Park and the Walker Art Center. It is hard to photograph because it sits on a busy intersection and the best photo would probably come from the middle of the street, but there are also many large trees surrounding the cathedral which make it hard to see the great architectural details. 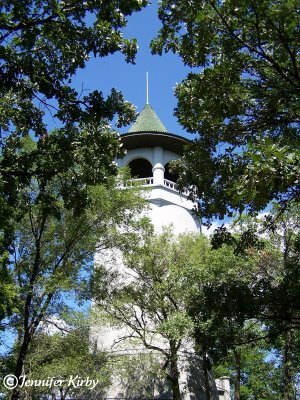 Built in 1913 by the Minneapolis Parks Board, the hill on which the tower stands was purchased in 1906 to increase water pressure to Prospect Park. 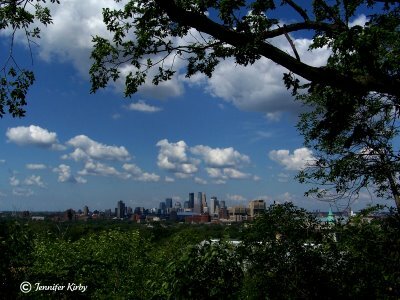 It occupies the highest natural land area in Minneapolis. 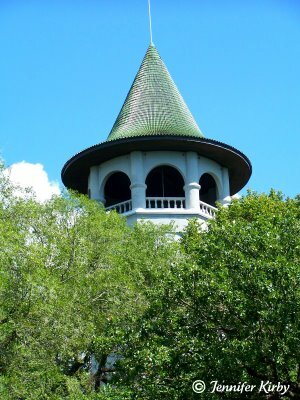 City engineer and Norwegian architect Frederick Cappelen designed the structure and gave it some Gothic flair by topping it with a Witch’s Hat roof covered in green tile. Easily known as the Witch’s Hat Tower, the building stands 107 feet high and grants visitors some amazing views of the Minneapolis skyline and surrounding neighborhoods. When driving east on I-94 from downtown, you can see the “hat” peeking out of the trees. The tower was decommissioned in 1952, with plans for tearing the structure down in the works. Thankfully, when local neighbors got wind of the plan, they lobbied to save the water tower, which is now a wonderful neighborhood park and gathering area. Tower Hill Park and the Witch’s Hat Water Tower are now listed on the National Registrar of Historic Places, and is located at 55 Malcolm Ave SE.